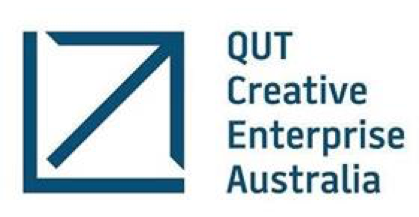 Australia, 19 July 2016: The first international startup to benefit from the Queensland Government’s Advance Queensland Hot DesQ initiative has arrived in the state, selecting QUT Creative Enterprise Australia (CEA) as its host. Tourism-focused virtual reality (VR) platform, TimeLooper, recently won a $50,000 grant from Hot DesQ to extend its operations to Queensland, following its participation at New York’s TechCrunch Disrupt event in May. TimeLooper selected CEA from the 13 Queensland Government approved Hosts via the Advance Queensland Hot DesQ program, due to its network strength in the creative tech communities, its link to Queensland University of Technology (QUT) and the facilities available through its extensive networks. To date, CEA has supported over 500 creative industry businesses on site, including raising over $60 million in capital. CEA will host TimeLooper for a six month period, helping the team to connect to the local startup networks, provide access to mentors and its onsite coworking space, The Coterie, business advice, access to its incubator masterclass program, exposure at Creative3 and other levels of support required to accelerate the growth of the platform. CEO of QUT Creative Enterprise Australia, Anna Rooke, said: “We are thrilled that TimeLooper has selected CEA as its inaugural Australian host. We are passionate about supporting startups in the creative tech space and are excited to help accelerate its development and growth in the APAC market. “Creative tech is contributing hugely to economies overseas, so we’re looking forward to leveraging the skills and network that TimeLooper will, in return, bring to Queensland, and indeed Australia, through its work in our market,” added Ms Rooke. The TimeLooper platform enables users to experience and re-live unforgettable moments in history through their smartphones in 3D reality – such as the 1940 London Blitz. The app is proving to be an ideal travel companion for tourists visiting monumental landmarks around the world, transporting them back through time, from the Great Fire of London to the V-J Day ‘kiss’ in Times Square. Commenting on the relocation to Queensland, COO of TimeLooper, Andrew Feinberg, said: “When considering expansion beyond London and New York, we sought a market with a robust tourism ecosystem, rich pool of talent, and proximity to the booming APAC region. “Queensland provides each of the above in abundance and the Hot DesQ program does a wonderful job of bringing the pieces together in an attractive manner. Advance Queensland has clearly done its homework in developing a highly compelling value proposition for emerging companies,” added Mr Feinberg. Speaking on the first international startup to arrive in Queensland via the $8 million Hot DesQ program, Innovation Minister, Leeanne Enoch, welcomed TimeLooper to the #StartupState. “TimeLooper’s tourism focus makes them an ideal first recipient of a Hot DesQ grant,” Ms Enoch said. 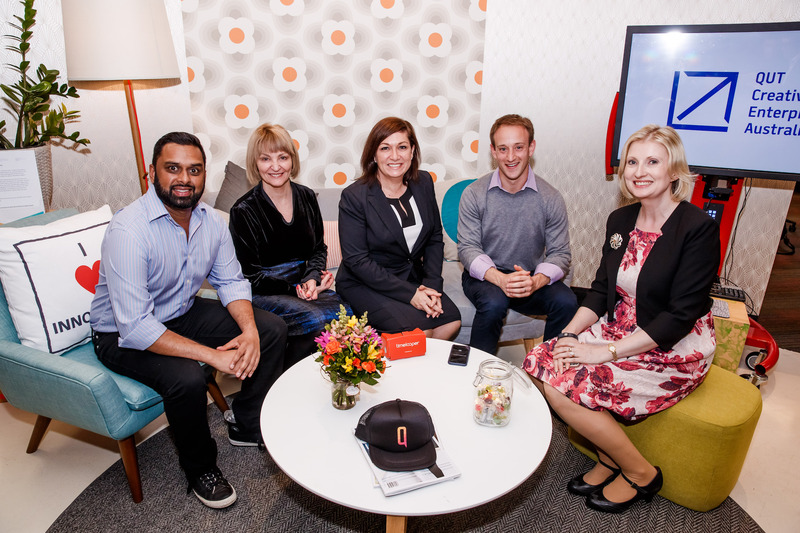 “Hot DesQ is designed to attract established startups from across the country and around the globe to Queensland to develop their ideas at one of 13 locations right around the state. The Hot DesQ initiative is part of the $405 million whole-of-government Advance Queensland agenda providing a suite of programs to support the growth of startups and business, and increase innovation activity and venture capital investment. This Australian-first Hot DesQ program is modelled on successful international programs such as Startup Chile, which has been running since 2010, and the French Tech Ticket launched just last year. Visit. Download. Time Travel. TimeLooper is a location-based platform that enables people to re-live the most amazing moments from a location’s history via virtual reality delivered right on their smartphones. TimeLooper’s open platform delivers a combination of content produced by TimeLooper’s award winning creative team and creative history buffs and virtual reality enthusiasts around the world. TimeLooper is currently available for time travel at historic locations in London, New York, and a UNESCO World Heritage Site in Turkey. Hot DesQ is a startup relocation iniative from the Queensland Government’s Advance Queensland program, which provides successful applicants with funding to base themselves in Queensland, Australia for a minimum of six months to grow their venture. As well as receiving funding of up to $100,000, Hot DesQ participants will also be embedded within an established startup community, and be provided with free co-working space for six months, access to mentors, and the ability to leverage off Queensland sectoral strengths and proximity to Asia-Pacific.